Last month, council voted to issue a request for proposals for the sale of the courthouse. The county sold the former Antigonish Correctional Facility, which is attached to the courthouse, some time ago. Warden Owen McCarron said they want to make sure the proposals fit the facility. 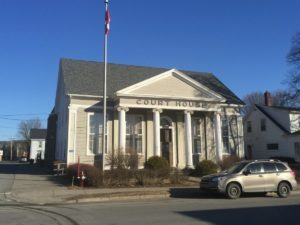 Last month, deputy warden Hughie Stewart said it is the only spot in Antigonish County for a jury trial. The Antigonish County Court House was designated a national historic site of Canada in 1981.